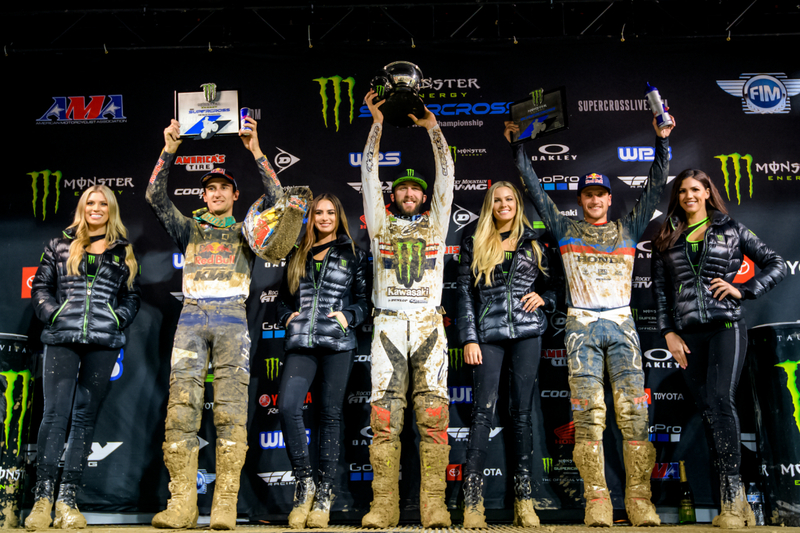 Round five of the 2019 Monster Energy Supercross, an FIM World Championship series, and the San Diego SX brought us the second California mud race of 2019. While the rain stopped right before the night show began, the damage was already done. 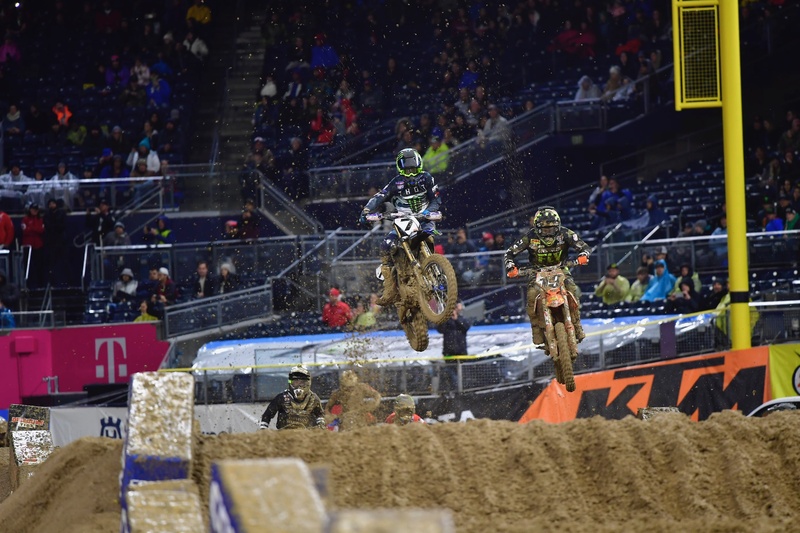 When the lights came on inside Petco Park the circuit was a wet deep sloppy mess that had most riders focused simply on keeping it on two wheels and making sure their bikes survived the shortened ten (250) and fifteen-minute (450) main events. 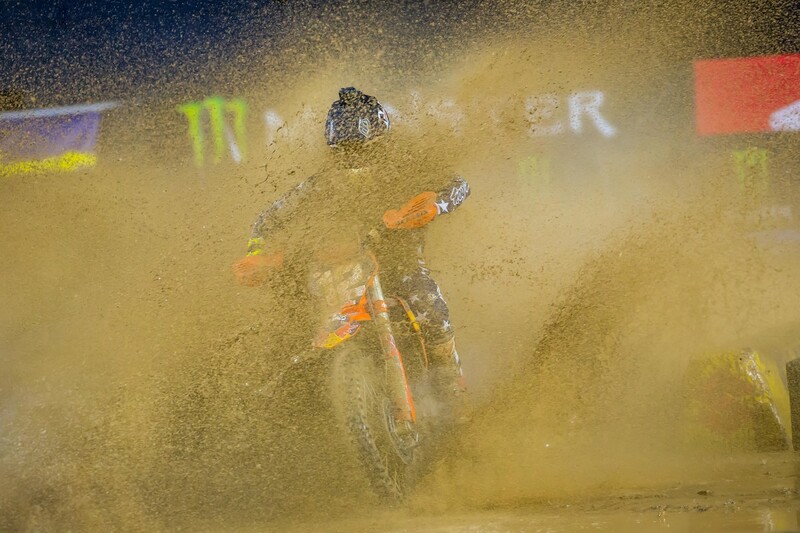 In the 450SX class, Monster Energy / Kawasaki’s Eli Tomac had a near perfect round five in the most imperfect conditions. Eli qualified first, won his heat race and then went wire-to-wire for the main event win. If that wasn’t enough for the #3 and the guys in the green shirts to celebrate, they also took the red plate home with them. 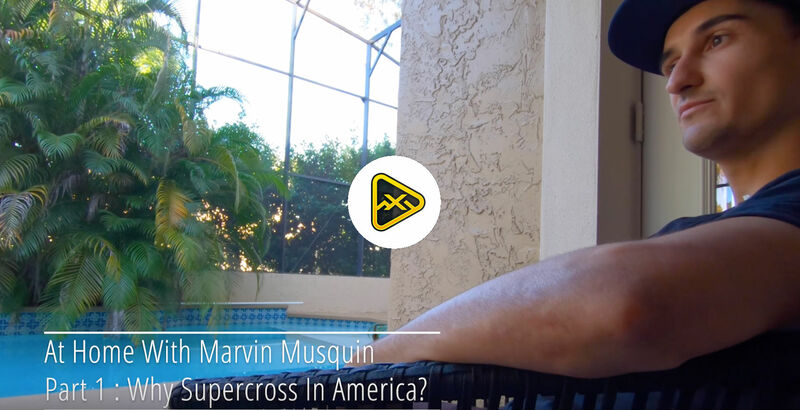 Finishing on the 450SX podium with Eli was Red Bull / KTM’s Marvin Musquin in 2nd for the third straight race and HRC / Honda’s Ken Roczen finishing on the 3rd step. 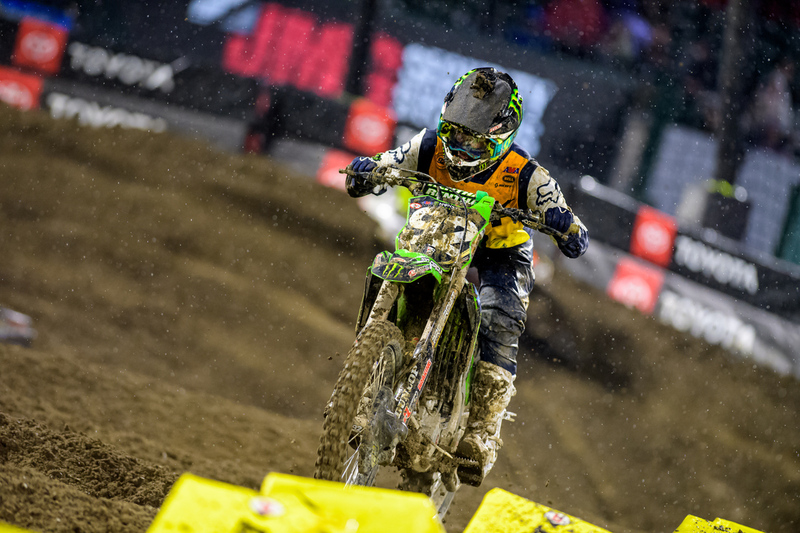 In the 250SX class, it was Monster Energy / Pro Circuit / Kawasaki’s Adam Cianciarulo heading into the West break with his second win in a row—giving the Kawasaki squad the red plate in both the 250SX and the 450SX classes. Grabbing the final two spots on the 250SX podium was Monster Energy / Pro Circuit / Kawasaki’s Garrett Marchbanks with his first career podium in 2nd and JGR / Factory Suzuki’s Jimmy Decotis finishing in 3rd. After the fifth round was in the books, we gathered quotes from the riders to find out how they got through the 2019 San Diego Swampcross. 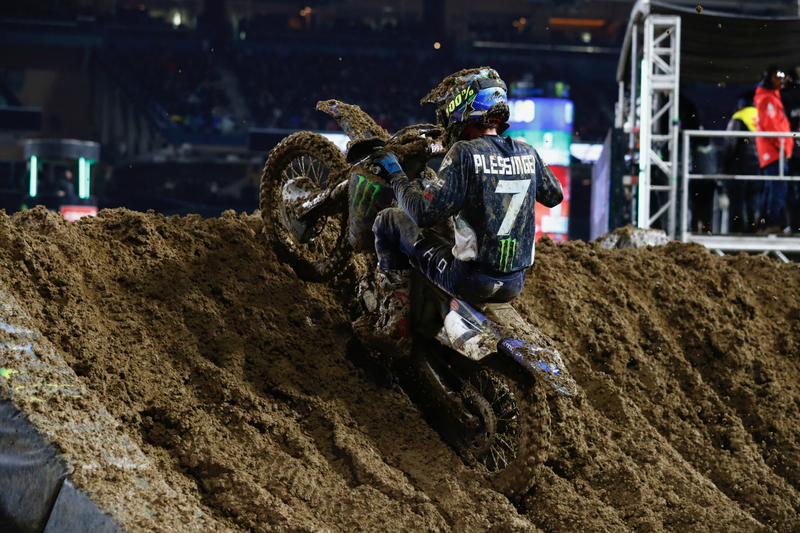 With the conditions in San Diego, we hoped AP might get in the mix for a podium. Aaron wasn’t able to be a factor at the front, but he did match his career-best so far of 8th. 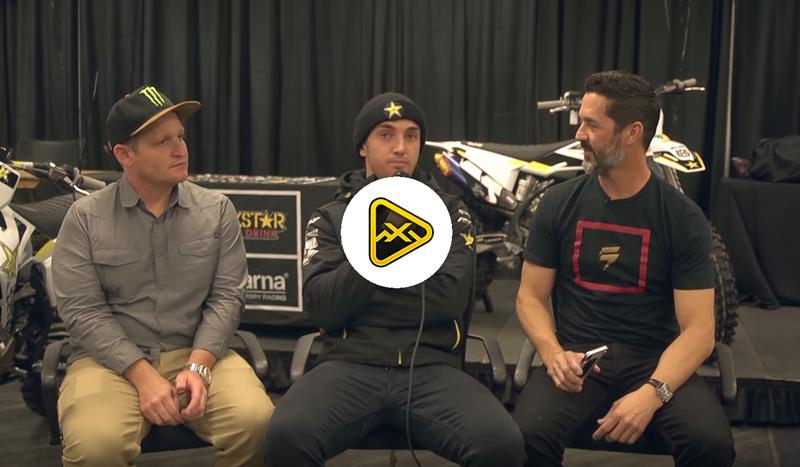 The Star Racing / Yamaha squad is trying to forget San Diego ever happened. Colt Nichols [pictured here] crashed a couple times and scored a 10th (losing the red plate), while Dylan Ferrandis’ bike got stuck and expired on the last lap while running 3rd–pushing him back to 7th. 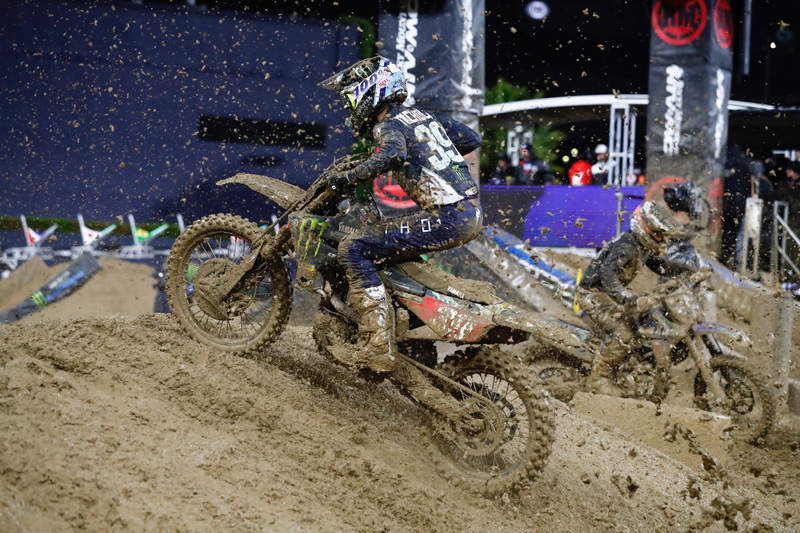 The story of the 450 race was Justin Bogle (#19, Right). Justin got the holeshot and after getting passed he kept the #3 honest for much of the main before two crashed pushed him back to a career-best 4th.